At uAvionix, we are passionate about the safety benefits that ADS-B can bring to all airspace users – whether manned aircraft or unmanned – and in particular the benefits ADS-B can bring to the integration of both classes of users. So, while “vigilance shall be maintained by each person” under §91.113, the responsibility under Part 107 lies with the UAS Operator. I get it, UAS operators are the new kids on the block and they have to play by the rules. We see how well this is working out by the recent footage of a close encounter between a drone and airliner in Las Vegas. I know the idiot who did this wasn’t flying under Part 107, but don’t we all think it would have been a good idea if the airliner or ATC would have known that the drone was there? How many of these incidents are happening that never hit YouTube? Advocating for ADS-B on drones hasn’t been straightforward, since there are some real and valid concerns about over-saturation of the ADS-B frequencies if too many drones were to be transmitting in close proximity. Last year, we introduced our capability to produce low-power ADS-B OUT systems which would mitigate this threat. In another post, we describe how ADS-B should be considered a safety technology not to be lumped in with LTE for tracking purposes. Now we are introducing the next part of our strategy. It’s called Inert and Alert. The concept is simple. Don’t transmit ADS-B signals (stay “Inert”) unless there is a safety threatening scenario – then do so with vigilance (“Alert”). 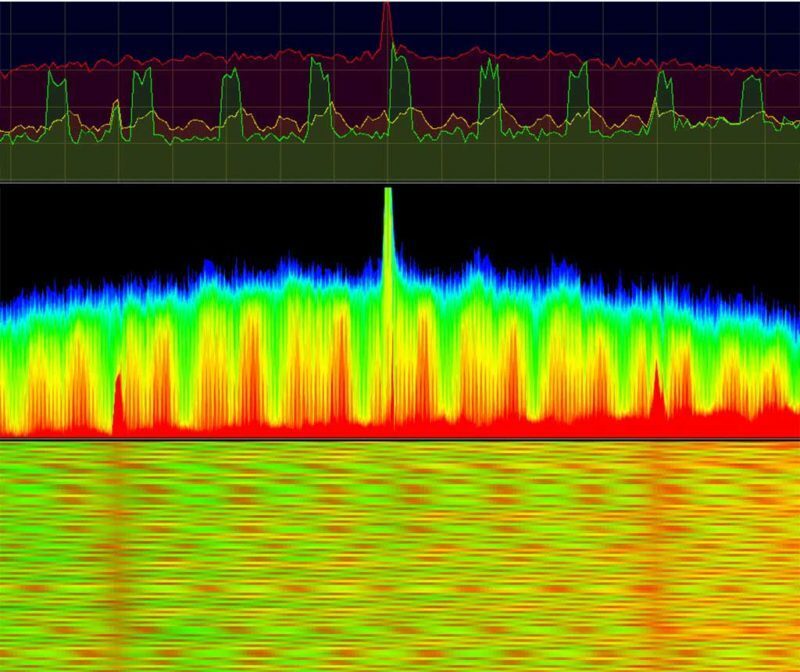 While not transmitting, always receive ADS-B signals to know what’s going on around you. The UA detects nearby traffic within 7NM and within 2000ft of altitude. The UA exceeds 400ft Above Ground Level (AGL) in altitude. The UA breaches or approaches Temporary Flight Restriction (TFR) boundaries. The UA breaches or approaches controlled airspace boundaries. The UA enters a “Lost Link” state where positive control by the PIC is compromised. The Remote Pilot-In-Command (PIC) manually commands transmission. The scenarios identified above and described in this CONOPS require various forms of complexity and integration with onboard systems ranging from “standalone” capabilities requiring no integration to full integration with the autopilot and/or other sensors. One of the best things about the concept is there is already a precedent for conditional ADS-B transmissions. This occurs on crowded airport surfaces. Read more about that in the paper. uAvionix has developed some of this capability and will be participating in trials shortly. Further, we are developing some exciting remote identification capabilities and an Inert and Alert system fits in perfectly with this concept.